SOUNDS AUSTRALIA is a joint initiative of the Australia Council and APRA AMCOS, supported by the Federal Government together with State Government Agencies and Peak Industry Associations. 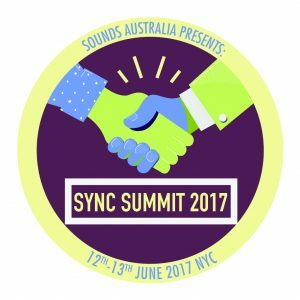 As a globally recognised brand, SOUNDS AUSTRALIA has now become synonymous with producing stellar showcasing events around the globe, featuring all Australian line ups, with some of world’s most influential bookers, buyers, agents and promoters in attendance alongside the tastemakers of tomorrow. Our aim is to provide the best possible environment for Australian artists at international events, offering additional exposure to industry and fans. For more information on our events, head to ‘SHOWCASING‘. We also provide valuable networking and considered business matching opportunities; by setting out to understand the goals and objectives of exporting managers prior to our events, we aim to connect them with relevant international industry. For more information, click on ‘NETWORKING’. As a direct result of SOUNDS AUSTRALIA’s programs, the number of Australian artists showcasing at international events has grown from 49 per year in 2009 to 263 in 2014, a 437% increase in just six years.